I have led or helped lead over 400 mock trials in the past thirty years. In that time, I have learned what works and what does not. Below, I share twelve of the best lessons that I believe litigators can take from all of my accumulated experience. 1) Don’t pull punches on the opposing side. In mock trials, we often see counsel hone their messages and themes, as well as throw their best ammo at their own side’s presentation, but come up short when preparing the case for the opposing side, whether intentionally or unwittingly. The result is a Pyrrhic victory and makes a mockery of the process. If you aren’t rigorously testing whether your position stands up to the toughest attacks, what are you actually testing, and how well will that prepare you for the actual trial? In addition, one common request by counsel is for their side to have the last word to stack the odds of winning. Actually, the opposite approach serves counsel better. It is better to mock lose and to understand why than to actually lose. One way to avoid that is to give the other side every advantage, including the last word during presentations. 2) Use balanced litigation graphics for both sides. Understandably, in an effort to contain cost, as well as their natural desire to make the best case for their client, counsel often creates more and better-aimed litigation graphics for their own side, but may make an anemic attempt, if any, to create punchy graphics to drive home opposing points. Again, this is a disservice to their side, because what comes out of a research exercise is only as good as what goes into it, so if the input is skewed favorably, a favorable result is unreliable. Most mock jurors glaze over after about 35 minutes, so what difference does it make if you keep talking, but they stop listening? A tightly constructed presentation with appropriate litigation graphics to punctuate key points respects the audience better and has more promise of driving home what needs to be tested. Actual post-trial interviews of actual jurors show that only certain key points were memorable. The only way to actually know how long and how well a presentation runs is to do it. Paper is not reality, so while something may work well on paper, it may not work as well in 3D. It may also take a lot longer, or the segues may not flow, or the details may come off as tedious when presented in person, as opposed to listed on the page. In addition, if there is any confusion as to what should be shown when using a computer-based presentation, the operator and presenter need to coordinate their cues and timing, rather than to waste precious time learning that there is a miscue, or a document is missing, or the video is too long and the like. In addition, reading a script verbatim is a good sleeping pill but doesn’t make for a presentation that will garner attention. If the presentations go longer than expected because they weren’t properly tested and edited, the lost time will come from somewhere else in the schedule, such as the critical mock deliberations time. Last, but not least, if a client attends the research and/or observes the video of the presentations, and they aren’t smooth, it does not show the participating lawyers in their best light. 5) Have a professional handle the technology for computer-based presentations so that visuals and video clips appear on cue. There is a video of trial technicians working in the hot seat here. 6) Keep video clips of witnesses short – it doesn’t take long to form an impression and there isn’t enough time to show entire depositions for feedback on substance. Its purpose is to evaluate form. According to Carol Ginsey Goman, who has studied and written about nonverbal behavior and communication, researchers from NYU found that we make 11 major decisions about one another in the first seven seconds of meeting. The human brain is hardwired in this way as a prehistoric survival mechanism. First impressions are more heavily influenced by nonverbal cues than verbal cues. In fact, studies have found that nonverbal cues have more than four times the impact on the impression you make than anything you say. According to Daniel Goleman, author of Emotional Intelligence (1996), “brain circuitry allows a by-passing of the neo-cortex by way of the so-called amygdala hijack: 'this smaller and shorter pathway allows the amygdala to receive some direct inputs from the senses and start a response before they are fully registered by the neo-cortex'” (p.18). In just a few milliseconds of perceiving something, we not only unconsciously comprehend what it is, but decide whether we like it or not. Given these findings, there is no reason to present lengthy clips to learn what first impressions witnesses make. A few minutes of video will suffice for mock jurors to form first impressions, largely based on appearance, body language and nonverbal behavior. If more than that is desired, e.g., how people react to the content of the witness’s responses, it is more efficient for the presenter to summarize the substantive points, present them visually based on the transcript, or use multiple days to present them on tape, assuming the additional expense is acceptable. 7) Test your worst-case assumptions, not your best. To determine if someone has diabetes, how meaningful would a glucose tolerance test be without glucose? Not at all. Yet we often see something similar attempted in the draft presentations and discussions leading to mock trials, which exclude the poison pills of the opposing case. Counsel squirms at the notion that we are giving the adversary an unfair advantage, prefer not to assume the worst about rulings on motions in limine, and wish to hide or shield areas of vulnerability. We understand why – they can’t take off their competitive adversarial hat. However, jury research is a different animal for a different purpose – not to win, but to test. To have a meaningful test means we must put our side through the paces of vigorous attack. Otherwise, the test is meaningless. 8) Don’t have a novice play the opponent and an ace play your side. It is a waste of time or worse to stack the deck by having a seasoned litigator who is intimately familiar with the case and has his or her heart and mind invested in the case present for the client at a mock against an associate who has far less experience in front of juries and is less familiar with the nuances of the issues. The result may be the result of a “presenter effect,” not the evidence and issues, yielding findings that are not instructive for if or how to try the actual case. If the purpose of the research is to compare presenters, there are other ways to do so properly – e.g., have different presenters present the same material to comparable audiences. 9) Don’t have witnesses testify live at the mock. It blows your cover in jurors’ eyes as to which side is sponsoring the research, since live witnesses won’t be testifying for the adversary. If using actors to cover that, it is never the same as the real thing, creating an unwanted imbalance. 10) Consider who should and should not attend. Once a client or witness observes the research, they may reach their own – erroneous – conclusions. You can’t put the cat back in the bag. Once someone has observed a mock research on a case, there is no way to control their takeaways, whether correct or incorrect. If they may testify, it also opens them up on discovery of that fact. Inevitably, they will fixate on the results (We won! ), or on isolated points that stood out in the moment, but had no statistical or general importance when taken in context. 11) Focus on the process of mock jurors’ decision-making, not the result. Invariably at mock jury research, we see someone dash into the hallway and call the client to report the results hot off the press (“They awarded $100 million!” “We lost 2 of the 3 groups.” “They hated our CEO.” “The email was a smoking gun that sank us.”) We understand why they do this, but it’s like going to the Mayo Clinic for a battery of tests and reporting the results of one test to decide the diagnosis, ignoring all the other results. It’s likely to be faulty. What has proven reliable for decades of well-done research is the decision-making path, not the actual results. In other words, while one cannot typically predict the final result (win or lose), what seems consistent is what matters to both mock and actual jurors, such as: What ultimately caused favorable vs. unfavorable reactions to the majority? What was confusing? What information was lacking? Why? What angered them? What backfired? What themes stuck? How did multiple jurors refer to the key points in their own language? It would take many more mock jurors than is typically feasible financially to make generalizations based on the results rather than process. If a new drug were tested on 36 people and no one died, would you take it or would you wait till thousands took it without adverse effects? 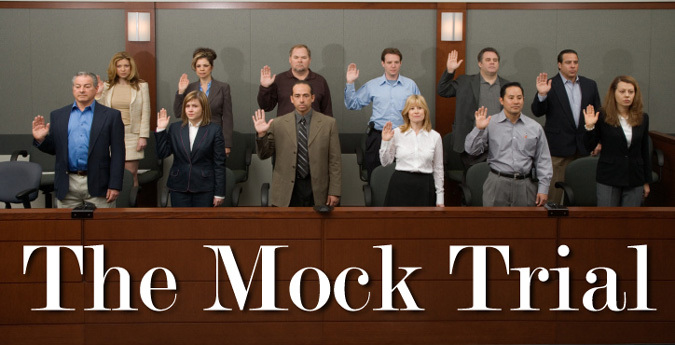 12) Avoid assuming which types of jurors are bad based on one or two that stand out in mock deliberations. Imagine you host a small dinner party and one of the five guests is obnoxious. They ruin the whole night. They happen to be male, a part-time actor/waiter, short, with curly hair. Which of those facts ruined the party? Would all short, male actor/waiters with curly hair be obnoxious and ruin your party? The fact is that we don’t know. However, it is very common to react strongly when observing an individual expressing strongly adverse opinions during the mock deliberations and brand anyone like them as bad for your case. The problem is that you don’t know what it is about that person, if anything, that is the root of the negative responses (is it because they are uneducated? Is it because they had a bad related experience? Is it unique and not a pattern of similar people?). Until you have enough people representing different traits and a statistically significant pattern emerges, these rushes to judgment are often misleading and unreliable. Instead, wait till the actual analyses are done that show the factors that more accurately describe adverse traits. You may be surprised that they have nothing to do with what someone assumed about one or two hostile individuals.